Val Guest's 1959 London-shot Brit Beat classic charts the fortunes of aspiring musician Bert Rudge (Cliff Richard). Rudge stands little chance in the music business but is propelled to major stardom after being discovered in an expresso coffee shop by sleazy Soho agent Johnny (Laurence Harvey). In quick succession Rudge changes his name to Bongo Herbert, gets a record deal and strikes up a relationship with an ageing American singing sensation. As Johnny starts Herbert on the road to stardom, an unfair deal is cut which exploits the young singer and leads their relationship to turn sour. 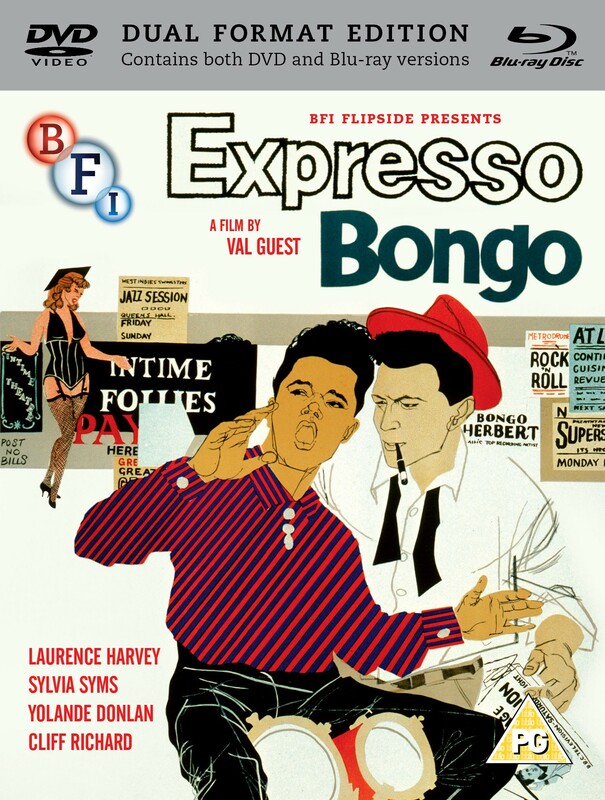 This sharp satire on the music industry was originally a successful 1958 West End musical, adapted for the big screen the following year, and designed as a star vehicle for the young Cliff Richard and The Shadows. • Illustrated booklet with new writing by Andrew Roberts, Vic Pratt and Steve Chibnalland.